The late Claire McCool, pictured here with her husband, Mike, in 2016. Claire McCool was one of a kind, and since her passing in November the Clay High community has continued to remember her life and legacy. 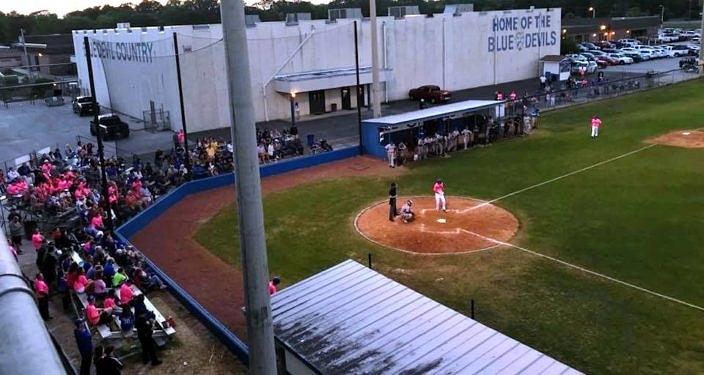 Friday night the Blue Devils hosted a special charity baseball game with district rival Ridgeview to help raise funds for a scholarship in McCool’s name, as well as to honor the veteran teacher whom had such tremendous impact on so many people’s lives. Born on August 24th, 1955, McCool was 62 years old when her battle with breast cancer ended on November 20th, 2017. In those 62 years the mark that she left in so many lives cannot be counted, which included twenty years of teaching at Clay and supporting Blue Devil athletics. 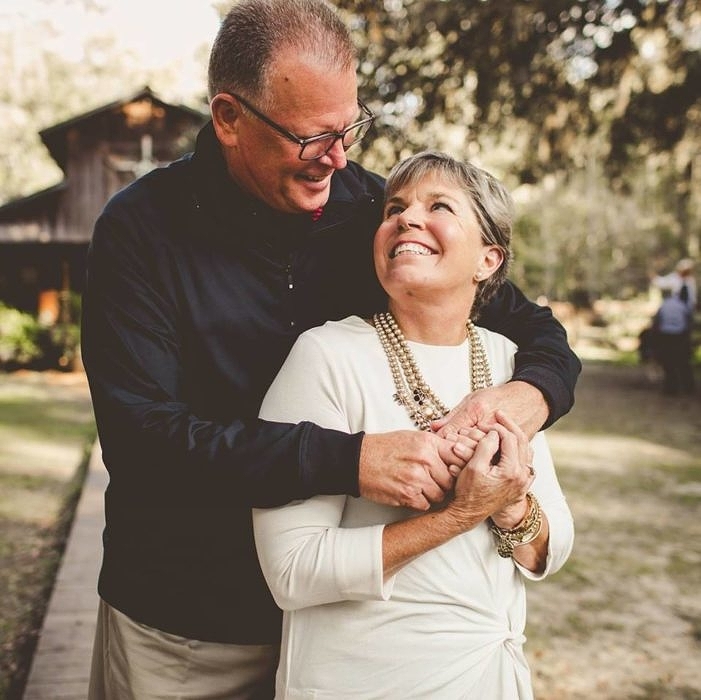 She was known to be a force of positive change in people’s lives, a teacher that transcended the typical teacher-student relationship to really connect and love her students. She never lost her sense of humor either, as she was known to joke about her boyfriend who was actually her husband, Mike. Friday night meant a chance for everyone to come together again and help raise money for the scholarship that will help to preserve McCool’s legacy. 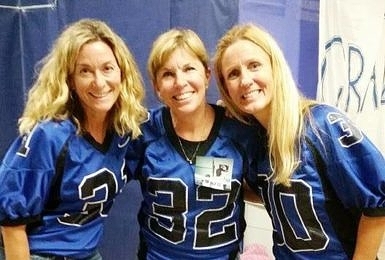 The event was organized through several of her closest friends and Clay lifers, such as Olivia Sweat, Julie Breindel-Hill, Blue Devil Athletic Director Jay Stilanou and former Blue Devils manager Rob Thompson. McCool’s youngest daughter, Lowry, also threw out the ceremonial first pitch. Clay then jumped out with all its runs early on and secured a 6-1 victory. McCool was loved by all within the Clay community and was 100% devoted to Clay High, and that community did all it could for her as well. Deanna Johnsey helped start a GoFundMe to support her fight, which raised $4,355 in donations. 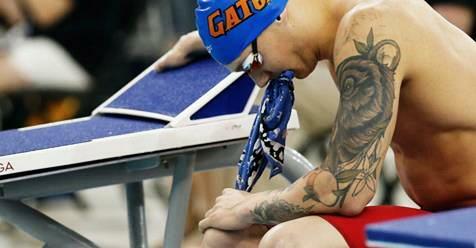 Another close friend is Olympic Gold Medalist Caeleb Dressel, who wears one of the bandannas McCool wore while she was going through chemotherapy around his neck during his races. NFL veteran Cliff Avril is another close friend that discreetly offered more assistance than most may realize. There was never any doubt that anyone would give all they could to the former senior class sponsor who was also well-known for being a huge part of Homecoming every year. Fans packed the house in support of Friday’s charity game, many purchasing pink t-shirts to promote the scholarship in honor of Claire McCool. *Photo courtesy of Diane Brooke Salazar. She gravitated to the highly academic and the athletes, two different polars that were her niche in finding those ones that needed a little something extra. Coach Persinger suspects baseball may have been her favorite sport, as some of her closest students were baseball players. She was a giver and her love knew no limits, and she was one of the ones that nurtured the love for Clay High. Another of those many people is Ridgeview manager John Sgromolo, who is himself a Clay graduate. The Panthers were honored to take part in the charity event. With a packed house of fans primarily dressed in pink t-shirts sold as part of the fund-raising, fans of both teams were united in the cause if not for the victors. Olympic Swimmer Caeleb Dressel, with Mrs. McCool’s bandanna that he wears in her honor while he is competing. As important of a game that it was for both sides, the most important thing was the memory of the woman they all celebrated together. District rivalries add to the excitement, and just makes it that much more inspiring to see those same rivals united in tribute. Perhaps inspired by their emotions, the Blue Devils got off to a hot start with a four-run second inning that accounted for the winning runs. Clay is now 15-5 overall and 6-0 in 6A-4, and has secured the top seed in the district. The Panthers (13-5) finished district play with a 6-2 mark to secure the second seed. It was only fitting that two teams having such quality seasons met on this night. Pitching helped set the tone for Clay, as once senior Connor Solomon started on the mound he did not give the ball back until the night was over. The right-hander allowed one unearned run on three hits and two walks, and he amassed an impressive 13 strikeouts. Claire McCool (center) with friends Kimberly Ericson Hynes and Julie Ellenberger Breindel Hill. It was just one of many big performances on the night, which also helped to add to the excitement for the huge crowd in attendance. Perhaps not all the fans were necessarily baseball fans, but rather there for the cause, and stand-out performances such as Solomon’s always leave a lasting impression with everyone that witnessed it. Another area that also left a massive impression came in the t-shirt sales. The idea was simply to offer them at a very affordable price of $8 dollars, simply to help get the scholarship information further circulated within the community. Yet most fans simply paid with a ten or twenty-dollar bill and did not want any change back, which led to them raising $400 towards the scholarship in t-shirt sales alone. Ridgeview reliever Brandon Dumas delivered a solid effort to keep the Panthers in the action. Dumas was called into action with the team on the ropes in the second inning, and he went the rest of the way while allowing two unearned runs. He scattered five hits and three walks and had seven strikeouts. Evan Wickeri accounted for Ridgeview’s lone run, as he went 1-for-3, and Maury Gonzalez was 2-for-3. Clay had a big night offensively, piling up 11 total hits. Kevin Jackson led the way by going 3-for-4 with a run, and Yarbrough went 2-for-3 with two runs. Josh Lemen was 2-for-4 and Nick Barrie went 1-for-4 with two RBIs. 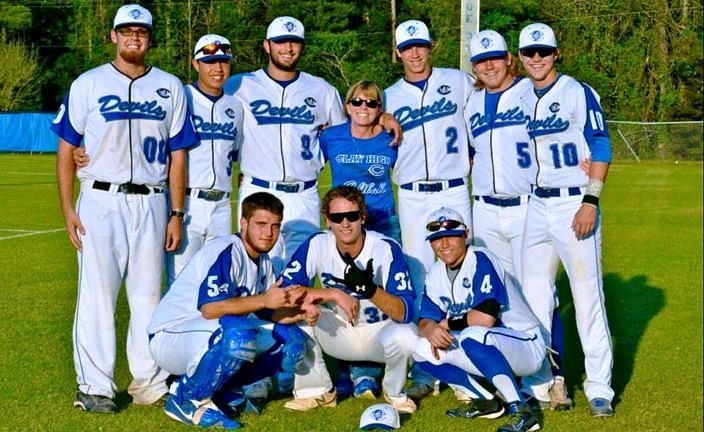 Claire McCool with members of the Blue Devils baseball team. Coaches always want their teams to be a reflection of their values. Friday night the two teams represented everything great that the game of baseball can be to connect people in so many ways in a positive experience.